Rob founded Free Solo Beverage Consultants in December 2018, offering his experience and expertise in every facet of the three tier system to the trade. 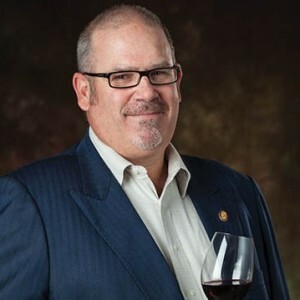 As Senior Director of Wine Education and On-Premise Development, Rob Bigelow oversaw all wine education programs for Ste. Michelle Wine Estates. As part of his dual responsibilities he also played a critical role in the company’s work with key stakeholders in the on-premise trade. Rob holds the coveted title of Master Sommelier, which he was awarded in 2002 as the fiftieth American recipient and the seventh American to pass all three parts of the rigorous exam on the first attempt. Raised only an hour away from Napa Valley wine country, Rob grew up with wine running through his veins. Yet it was a 1961 Château Margaux served at a party in his parents’ home when he was ten years old that confirmed his interest. From that point forward Rob has dedicated himself to the study of wine. After studying hotel and restaurant management in college and working several sommelier positions, Rob became the Wine and Spirits Director at Canlis Restaurant in Seattle. There, under Rob’s direction, the wine program received the coveted Wine Spectator Grand Award. Following this singular achievement, Rob moved to Las Vegas to work at Bellagio as sommelier for Le Cirque, Circo and Aqua restaurants while preparing for his master sommelier examination. When appointed as Wine Director of Bellagio, he took charge of the hotel’s entire wine program, one of the largest and most successful in the world. In addition to managing daily operations and a staff of 16 Sommeliers, Bigelow also conducted a comprehensive wine education program for the entire Bellagio service staff. Rob left Bellagio briefly to become Corporate Director of Education for a prominent Las Vegas wholesaler where he was responsible for implementing and executing their national wine, spirits and beer education program. Then, from 2008 to 2009, he worked as a Director of Fine Wine Sales for the Wirtz Beverage Group, overseeing the entire wine sales and distribution efforts for the state of Nevada. From there Rob opened the ARIA Resort & Casino as Wine Director. From there he became Aria Director of Food and Beverage while maintaining the Wine Director duties. During his tenure there, ARIA earned a Five Diamond rating from AAA and a Five Star rating from Forbes. Rob serves on the Board of Directors of the Court of Master Sommeliers, where he also served as Education Chair in 2011. Rob was also an Adjunct Professor for the Hospitality Management Program at the esteemed College of Hotel Administration at the University of Nevada – Las Vegas. Rob was honored as the 2007 Wine Professional of the Year by Santé magazine.